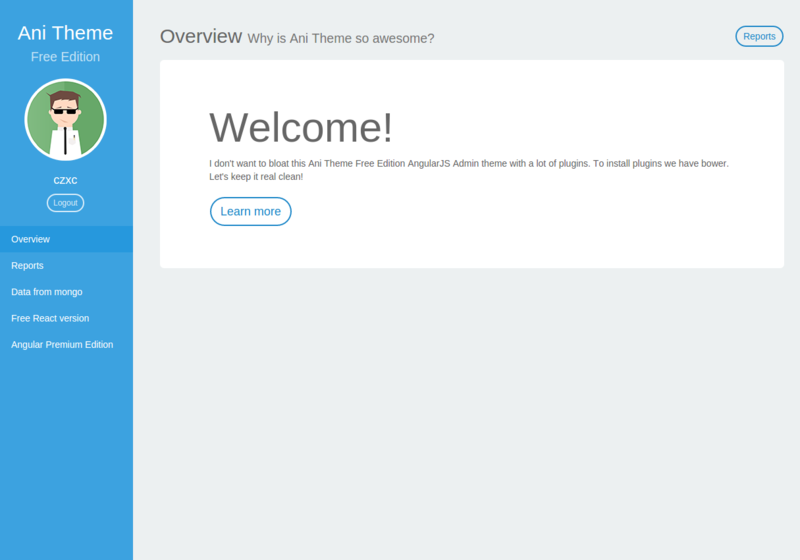 If you like our theme, but wish to have it customized your way, you can hire the Start Angular team to do that for you. Write to us here. This project is a port of the famous Free Ani AngularJS Theme to Angular Meteor Theme. Authentication enabled with working Register/Login buttons. Note: This project is no longer maintained. The preview was hosted on meteor.com which as it turns out, not supported anymore. What’s the password to login to the demo? Register first and then you can try the same credentials for Login.